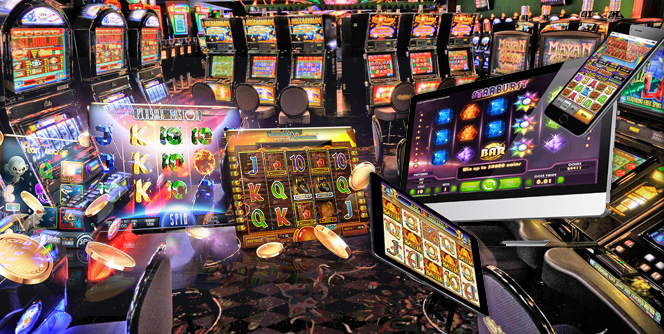 Online slot game developers are always coming up with new and exciting games to keep people playing their games. Every month or so, you’ll see the announcement of new releases to look out for and this can be very exciting for slot game fans. 2019 has only just begun and our favourite developers including NetEnt and Microgaming have already announced some incredible games. Find out which of the new releases you should look out for on your favourite online casino in this article. You are sure to love some of the games that we have picked out. The first exciting new slot game on our list comes from Red Tiger Gaming whose games appear on many different online casino sites. Their latest slot features the famous Norse god – Thor. Thor’s Lightning features an interesting 7×7 format which is different from the usual 5-reeled games that we see. With plenty of Nordic symbol and some locked tiles included in the game, players are sure to love what Red Tiger Gaming have done here. Other bonus features appear to be the Muspell Free Spins which sounds like it could be pretty exciting. Look out for Thor’s Lightning and other Red Tiger Gaming slots on your favourite online casino. If you are a fan of the casino games that come from NetEnt then you are going to love the new release that they have announced recently. Strolling Staxx: Cubic Fruits is set to be another smash hit slot game in the Staxx series which casino fans have already taken a liking to. This fruity slot game is set to come with some really exciting features including giant symbols which can appear in the middle of the 5 reels. The interesting thing about the design of this game is that all of the symbols are cubic which makes it different from other fruit-themed slots. If players are lucky, they might even be able to get some free spins so make sure to look out for this brand new NetEnt game. Another impressive slot game that is a new release in 2019 is The Great Albini which comes from Microgaming. This company are known for their slots and collaborations and this game comes in association with Foxium. The Great Albini comes with 5 reels and 25 paylines filled with characters from the magic show. The Great Albini himself takes part in the slot and there is a pretty exciting Mystery Box Respin feature that you will love. Microgaming and Foxium have also thrown in some free spins and giant bonus symbols on the reels which you will recognise from some of their other slots. Join The Great Albini at his magical show and see what you could win. The next slot game to look out for in 2019 is for those who enjoy taking a spin on some of the Pragmatic Play slots. Mustang Gold is a 5 reel slot game with a Wild West theme that you will love. This slot game is a recent release and is one of the best games to come from Pragmatic Play so far. Included in the Wild West fun are some horses, cowboys and cowgirls. You’ll spin to win on the bonus features which include the horseshoe pick and a free spins round with 8 free spins on offer. Pragmatic Play have really pulled it out of the bag with this slot so make sure to look out for it appearing on your favourite casino site soon enough. The final slot game that you should look out for in 2019 comes from Yggdrasil who have been consistently releasing great games for the past few years. Cazino Cosmos is actually a sequel to another slot game that you might have taken a spin on – Cazino Zeppelin. This slot comes with the main character known as Stella who will take you to space in the hope of getting a cosmic win. Everything about this slot is very futuristic and there are some great bonus features that can help to boost your prize fund. The free spins round also comes with some sticky wilds and plenty of extra unique features that you won’t find on other slot games. Make sure to check out Cazino Cosmos as soon as it is launched to see what Yggdrasil have been up to. With so many great games released so far, we wonder – what else do these software developers have up their sleeves? We are expecting everything from new themes that we’ve never seen before to exciting new features that can send us towards the jackpot. We also expect that virtual reality might play a part in some of the new releases that we’ll see in 2019 with this technology becoming more mainstream. Hopefully there will be fewer slots with the traditional themes and more that are linked with our favourite movies and characters as well as some totally new ideas. Microgaming, NetEnt, Pragmatic Play, Yggdrasil and Red Tiger Gaming are definitely ones to watch in this industry after already kicking 2019 off the right way. As 2019 continues, we expect to see a lot more releases from some of the top iGaming developers out there right now. All of the slots that we have seen from the big companies like Microgaming and NetEnt have been impressive and clearly have had a lot of work put into them. Our favourite game so far has to be The Great Albini, but we are very excited to try out the latest instalment in the Staxx series from NetEnt. Make sure to keep an eye on your favourite casino as they are sure to be picking up these brand new games as soon as they are released. Get spinning on them today to see what sort of jackpot you could end up walking away with.